Do I still love weekends? The real life of a wedding photographer! The short answer to this question is HELL YES! I saw posted all over social media this past couple of weeks a saying that I didn’t agree with. I also hear this a lot while I am at weddings. People who work weekends are tired of hearing how happy you are that it’s Friday. When I hear this at weddings I giggle, because YES I do work nearly every weekend at a wedding OR a session OR editing. But, you know what!? It is what I signed up for, and I wouldn’t change it for a thing! Also, it just might be in my blood. I grew up a Dairy Farm in Central Wisconsin in a village, yes it was small enough to be a village! Growing up the weekends were always filled with work, we had to feed the calves, rake hay, cut hay, pick corn, something always had to be done. When I got my drivers license I begged my parents to let me have a job outside the farm. I got a job as a busser at a restaurant a city over. I did this job after school, after sports practice sometimes and on weekends. When I graduated High School I got jobs in retail, bartending and serving tables. These jobs were ALWAYS on the weekends! It was just a way of life for me. What do I hate about working nearly every weekend though? YES, there are still things I hate about working weekends, needless to say, nothing is perfect! The biggest thing that has come with working weekends my whole like is friends (and family) outside of my work just stop asking you to do things. They just assume that you have to work. What to do when you have a friend who works mainly weekends? NEVER stop asking them to do things! Even if it happens on a weekend – they just might have that weekend off, or the ability to get that weekend off. Or stop by before and after! It breaks my heart when family and friends just don’t ask us to do things because they think we have to work. Yes, we may have to, but we still want to be included, someone. The biggest thing that has helped me with my relationships is planning things MONTHS in advance! YES, this just has to happen. Most of my friends have their own business, so we need to plan months in advance to have lunch or dinner together. We will even share our travel schedules ahead of time so we can plan visits when we are in the area. 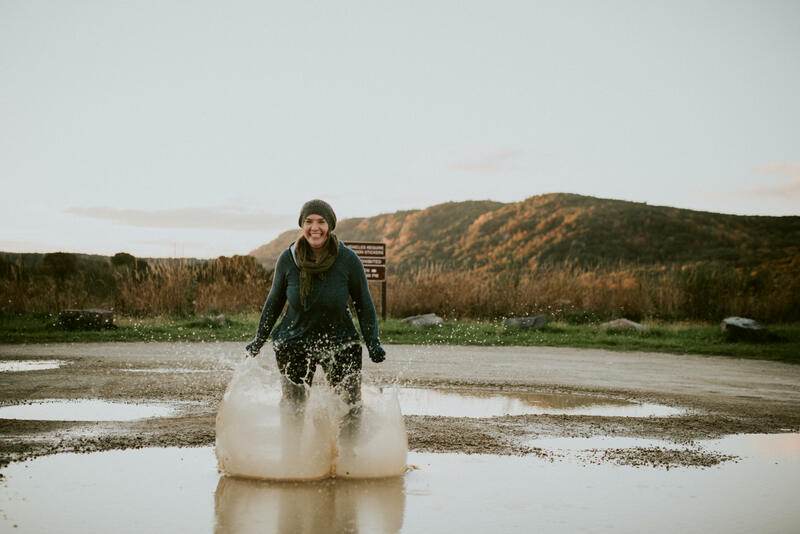 Life as a business owner is not easy, but what job can you think of where you can jump in mud puddles! ?